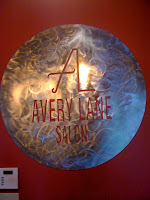 Today I went to Avery Lane Salon and Spa to have my hair cut and colored. I love my new stylist, Lauren, and she and I decided to make some changes to my hair. I had been collecting pictures of styles that I liked and had even snapped a picture (with permission) of a lady in the grocery checkout line who had a haircut I admired. Lauren worked on the color to add some "dimension." Dimension is the term used to describe visible highlighted streaks of color. That had to be explained to me and now I know the lingo. Anyone who has ever had his or her hair colored in a salon knows that there is a waiting period for the color to "process." My eyeglasses have to be removed so they will not be stained by the chemicals that are applied to my locks. I normally spend the waiting time in a fog since I can't see well enough to read anything or even browse a magazine without my glasses. I was enticed to spend the time wisely and treat myself to a Dreamsicle pedicure. The waiting period would be a pleasure. 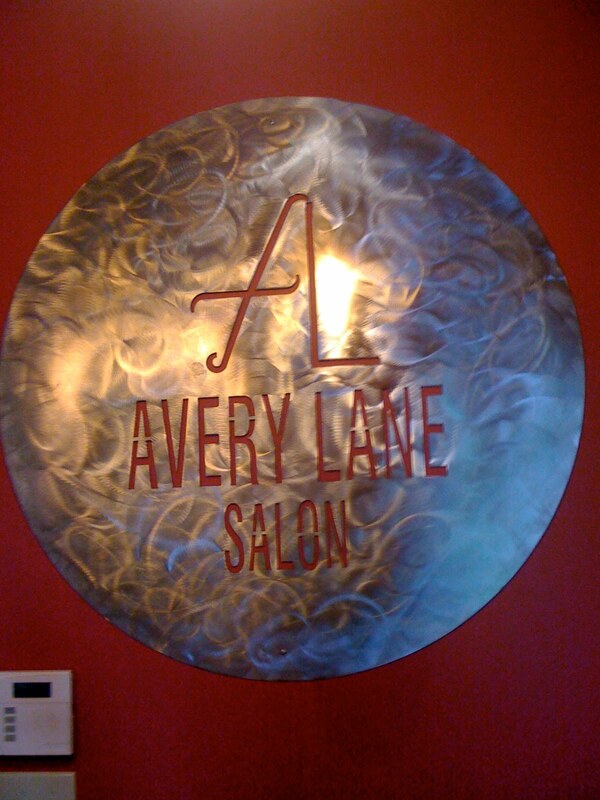 Avery Lane is a hair salon but they also have a lovely spa. Their spa menu includes facials, nail and makeup application services. It's an Aveda Salon and most of the products are of that brand. 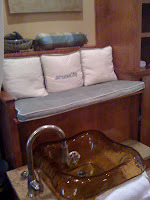 www.averylanesalon.com I climbed the two granite steps to immerse my feet in a warm whirlpool bath scented with an orange fizz ball. I knew I was in for a real treat. The setting is beautiful and zen-like. The monogram on the pillow of the chair is "serenity" and that is the way to describe the spa. It is very private and closed off from the main salon area. There is soft music playing and after I chose the OPI color for my toes I began to experience relaxation enhanced by the smell of oranges. The pedicurist clipped, buffed, shaped and polished my toes to perfection. She also massaged my old achy legs as she and I kept up a pleasant banter. To my utter surprise and delight I was also served a Dreamsicle cocktail in a martini glass. A combination of ice cream and some liqueurs were blended together. 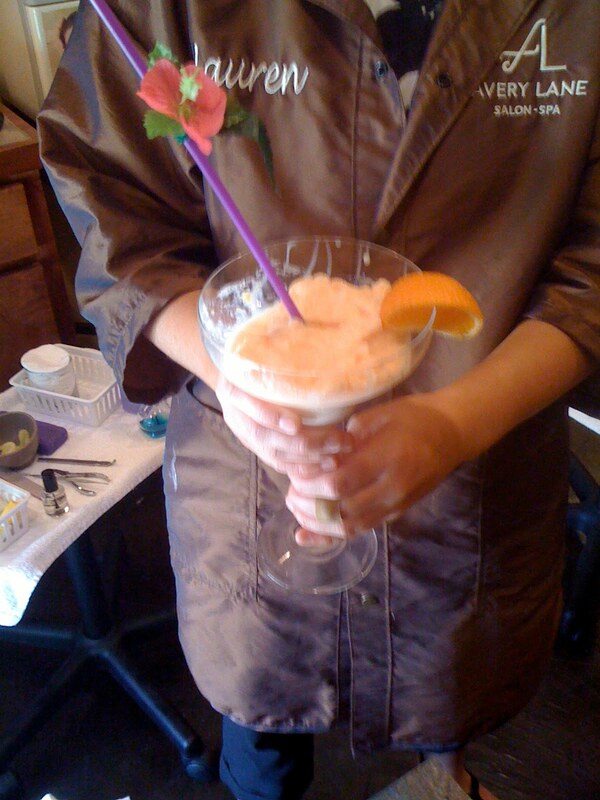 It was possible to sip it slowly all during the pedicure. How decadent can you get without breaking the law?? I must admit that this was not my first pedicure at Avery Lane. In February they offered a Godiva Chocolate pedicure. I was not served a chocolate martini for that service, but the aroma of the chocolate masque that was applied to my dry skin was heavenly. Each month, it seems, there is a special pedicure and I got on the email list so I could find out what surprise is planned for the spa. This may sound like a commercial or testimonial, but I love this salon. It is Zachary's one-stop place for hair, nails and complexion. The rates are reasonable and I feel that there is real value for their offerings. The staff is friendly without being pretentious. They seem genuinely happy that you are there. If you don't live in Zachary, I recommend that you get yourself here before the end of the month of May and the end of the Dreamsicle pedicure. Oh...by the way...my cut and highlights are just what I needed for a summer do. Thanks, Lauren! My pedicurist today was Katey, but April is also someone whom I trust with my nails! I am so glad that I found a salon that is close to home and that offers quality service in a friendly atmosphere. and...if you want a facial, Cristen is the best! This sounds amazing! A pedicure AND a cocktail while you wait for your hair to process? Genius! It may be worth a trip to Zachary! Correction: It's definitely worth a trip to Zachary!! you really should. Call me and I will meet you there! Yay for summer! Can I go with you next time?